This is the final blog post about your only source of energy on the trail (and off): Food. These posts were initiated by some questions from a female backpacker who had suffered from calory deficit while on long hikes. She also was a bit worried about female hikers being more prone to this than male, because of a wish to lose weight. So she asked me a number of questions about food for backpacking that I have tried to answer in this series. In this final entry I will add some variation and inspiration to the pretty austere dry food menu that I tend to use most of the time. Something for everyone, I hope, that will make the caloric intake on longer hikes more enjoyable. I suggest you read the earlier blog posts called Energy on the Trail in order to get the full benefit of the rather mixed bag of tricks and tips you will find in this final part. All vegetarians out there have already noticed from my menu, described in part 3, that I am not one of them. However, I do realise the need to cut down on meat consumption for a number of reasons. This is also something that I am testing in order to find tasty solutions for future long hikes. What I need is to replace the abundant protein and fat in my sausage sticks with something vegetarian that will give me enough protein (including essential aminoacids) to replace what is lost by wear and tear on muscles and tissue during my hiking trips. I am not venturing into veganism here. I know too little about the subject, although I have hiked with vegans and been impressed (astounded is perhaps a better word) by their capacity to hike on what I would consider 'almost nothing'. There are a few amino acids, the building blocks of proteins, that are essential for humans which are almost solely found in meat, fish and other sources from the animal kingdom. They are not found in products like beans and peas, which are otherwise excellent sources of protein. I have no problems with including milk and eggs in my menus, and they are excellent sources of all necessary amino acids. So milk and eggs are included in my menues. I might also add that Real Turmat, freeze dried food from Norway, have some excellent meals including different kinds of fish. My own enthusiasm with home-dried food for the hills has varied considerably over time. But the good news for anybody being interested is that you can dry almost anything provided you have a decent oven. There are complete books on the subject that I recommend of you want to dig into it or even make it a hobby. However, in my experience most things can be dried using the method described below. This is how it works. Cut some thin strips of beef, take some ground beef and give it a good spicing with salt and soy sauce for instance. Spread it out well, in a thin layer on some paper. Put it in the oven. Take some raw eggs, crack them into a bowl and mix them thourougly. Spread the mix out on some paper.and put it in the oven. Tomato puré, sliced vegetables, almost anything follows the same process. Put the oven at 45-50 C/ 110-120 F. If it is an oven with a fan just close the door. In an oven without a fan I leave a small opening in the oven door. Usually I stick the handle of a wooden spoon in between. Leave for 8-12 hours or until it is so dry that it more or less crumbles between your fingers. Pack portions of it in plastic bags and put these in the freezer until you use them. This should not really be needed, but if you make big batches it might take a long time before it is all consumed. The following photos show how I dried refried beans from a can, making them into instant, refried beans. Some of the best vegetarian meals I know come from Mike Clelland and Andrew Skurka. Some years ago I spent time with Mike, Ryan Jordan and others in the wilds of Montana. Our trailhead was a guest ranch where we were served locally produced beef steaks for dinner. The elderly lady of the house serving us had however received an order for a vegetarian meal, and asked who it was for. When Mike raised his hand the lady said: Here, I have some chicken for you. This raised a general laugh, we all felt this was a reflection of what was considered vegetarianism in rural Montana. Perhaps also a reflection of our prejudices about rural Montana, and Mike took it with lots of humor. 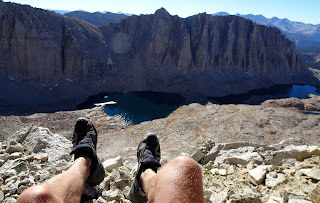 Mike has written a book called Ultralight Backpackin' Tips. It contains 153 tips for lightweight camping. Part of that book contains recipes of lightweight, calory dense vegetarian food for hikers. Here is a companion website for the book. Check out his website. His favorite outdoor dinner is Beans and Rice, and you find the recipe here. It contains instant refried beans, which is an excellent source of protein. However, instant refried beans are not easily bought in all parts of the world. One way of managing this is to buy a can and dry them yourself. This series of photos show how I went about recreating his meal back home in Sweden. 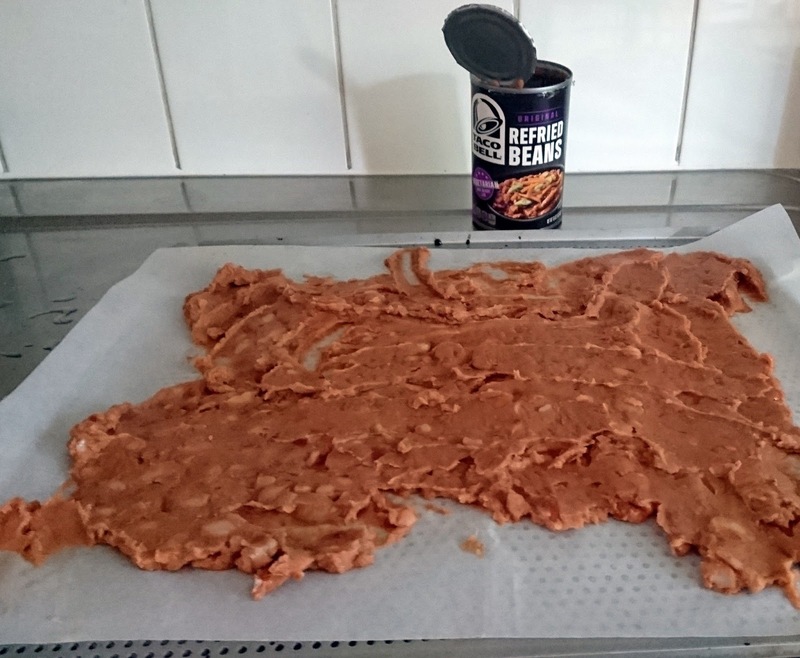 A 450 g/1 lb can of refried beans spread out on some oven paper. Into the oven at 50C it goes. After 12 hours it is dry and crumbly when you touch it. The 450 g have turned into 114 g. This is 2 portions according to Andrew's recipe. I crush the stuff lightly, not into powder. You can do this manually or in a machine. Two portion bags are then placed in the freezer. This is not really necessary, they should keep for a long time stored in room temperature. Another favorite recipe of Andrew Skurka is found here. Thai Peanut Noodles. There is lots more on food to be found on his webpage. This and some other stuff is also collected into an e-book. On Andrew's webpage you can also find a pdf on lightweight food that will meet your calory needs on long hikes. Some peanuts are port of portion for one. Crushing the peanuts slightly gives a nice crunchiness to the meal. An ordinary package of noodles. I like the pieces short, so I crush them with my fist before taking them out of the package. The spice envelope included is discarded. 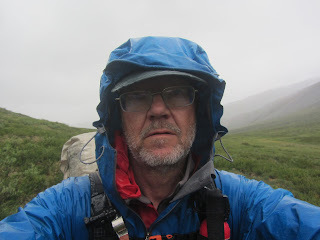 This ends my blog entries on lightweight food tips for long trails that are "guaranteed to keep you spry", full of energy and capable of enjoying your hiking. Remember, food and other gear are only tools for a great experience. But they often essential. Do not carry more than you need, it will only drag you down, mentally and physically.